What sparkles more brilliantly than a beautiful diamond? A diamond that comes with friends! In this hand-engraved Vanna K ring, the large solitaire may take center stage, but it's the cylindrical network of diamonds surrounding it that make this ring stunning. The diamonds line up in this design to form a clean, seemingly endless network, a network you will definitely want to share with all your friends. So what are you waiting for? 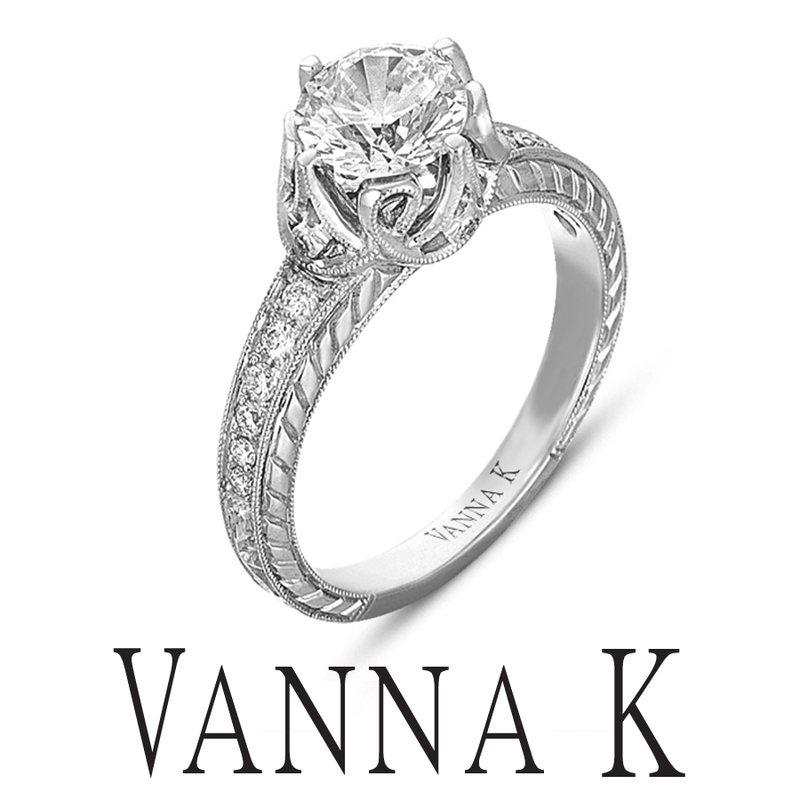 Find this sparkling social network, and other amazing diamond rings, today at Vanna K.